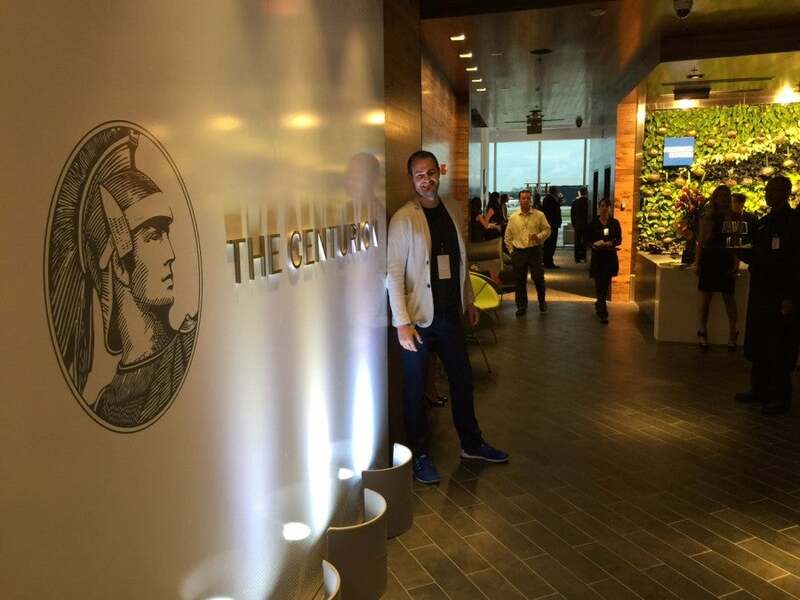 Last night, I had the opportunity to attend a preview of Miami International Airport (MIA)’s new American Express Centurion Lounge, which will open to the public on June 4, 2015. This former British Airways lounge space in the North Terminal has been vacant since 2007, but it’s now the fifth Centurion lounge in the United States. Centurions are my among favorite airport lounges, as they’re luxurious, relaxing spaces with healthy and delicious food and drink offerings — so here’s hoping there will be more to come! 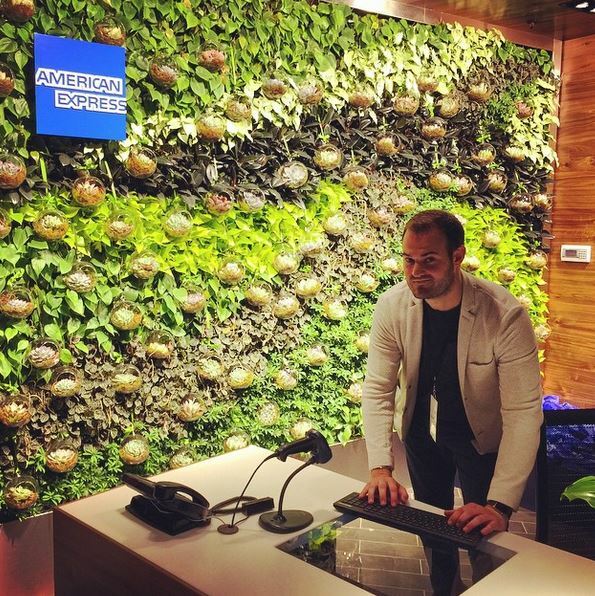 The Miami Amex Centurion Lounge entrance has a spectacular living wall of plants. Access to all domestic Centurion Lounges is complimentary if you have an American Express Centurion Card, Platinum Card® from American Express or The Business Platinum® Card from American Express. Admission with one of these cards includes up to two guests or your immediate family. If you hold another American Express card (including those issued by other banks), you can purchase a one-day pass for $50, though these are only available at the club on the day of travel. The day pass includes children under 18; other guests must purchase their own passes. 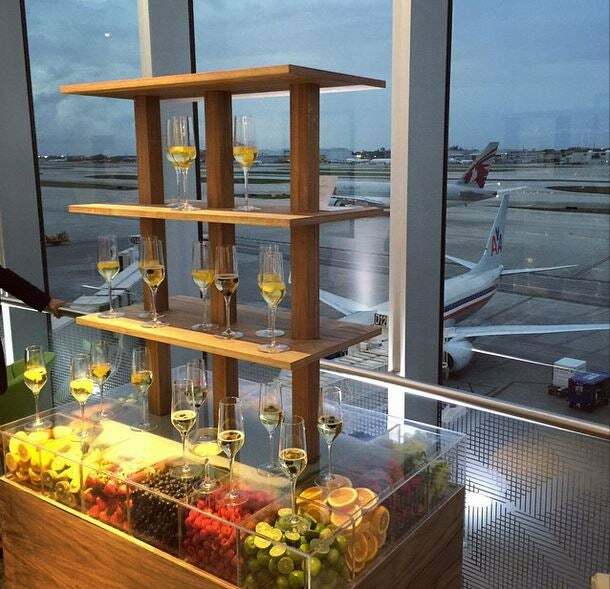 Welcome to the newest Centurion Lounge in the Miami Airport. 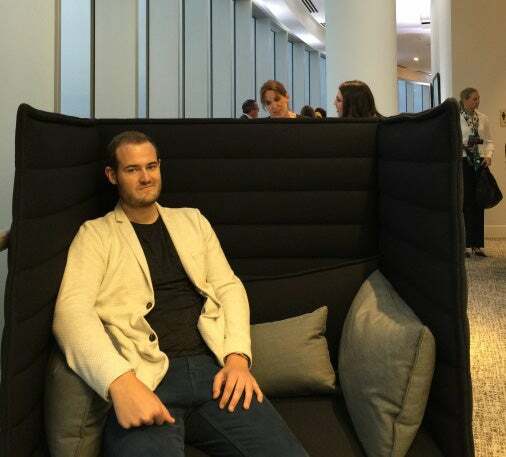 Finally — a chair big enough for my 6’7″ frame! Located in the North Terminal D near Gate 12, the brand-new lounge space is approximately 8,000 square feet and features a spa with complimentary treatments and a family room. Additionally, Card Members can enjoy high-speed Wi-Fi, personal computers and noise-buffering workspaces. There’s even a children’s play area, which they call the Family Room. Playing with the Etch-a-Sketch here, I was happily transported back to my ’80s childhood. The decor is stunning (especially for a lounge, which can often be rather drab), and features a living wall of plants, high-end furniture, plush built-in nooks, noise-buffering private workstations, a communal library table and conversational areas designed for guests to kick back while they order beverages or enjoy complimentary, signature canapes called “bites.” There is also a shower room that offers L’Occitane products, and combination lockers are available. Champagne with a side of airplane views. The lounge gives off a very relaxing vibe; it’s a place where travelers can really recharge and get their bearings while either chilling out or getting some work done. And if you’re a plane-watching junkie like I am, you’ll enjoy the nice views of aircraft coming and going. Unfortunately, I didn’t get a chance to head into the Exhale Spa, but what I did hear about it seems quirky yet amazing — apparently, the wrist massages are fabulous! I love Miami because of the chic vibe: a fusion of Latin cultures and beach-style ambiance. 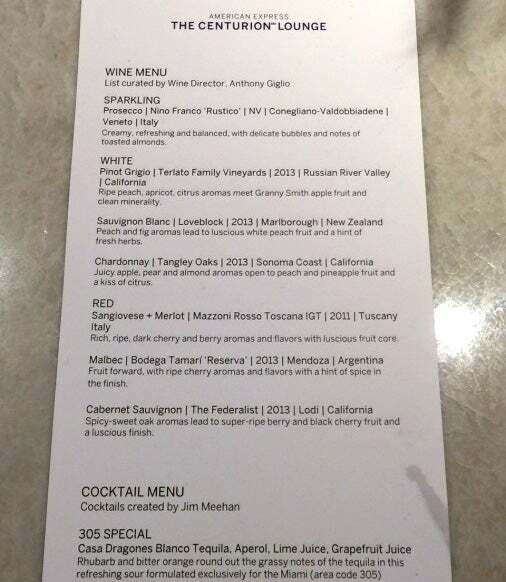 The menu at the Miami Centurion Lounge reflects this, with locally inspired cocktails and bites. Michelle Bernstein, a James Beard award-winning chef in Miami (she helms both Seagrape at the Thompson Miami and the Design District sandwich shop/bakery, Crumb on Parchment) focuses on locally sourced ingredients and a Latin-themed menu. I was able to try some of the amazing Miami-inspired food and it was delicious. I especially enjoyed the varied salads and the mint pea soup. Instead of a fixed menu concept, there will be several items (around 50-60) that vary throughout the week, so frequent flyers won’t find too much repetition. At the moment, hearty entrees vary from a pot pie with wild mushrooms, red wine reduction and roast veggies to a slow-braised beef short rib with green farro, and dessert ranges from seasonal fruit cobblers (hello, lavender crisp and candied pecans!) to Bernstein’s own special bread pudding made with brioche, brandy, raisins and “lots of love.” There’s a huge breakfast menu, too, with five types of pancakes (lemon ricotta, orange-scented, etc. ), a few egg dishes — including two versions of Mediterranean shakshuka and a breakfast burrito with chicken chorizo — and three types of quiche. The breakfast sides — all featuring sausage — are where things get really creative, including a sweet potato-maple hash and sorghum grain with caramelized onions and greens. Now, let’s get to everyone’s favorite: the booze! 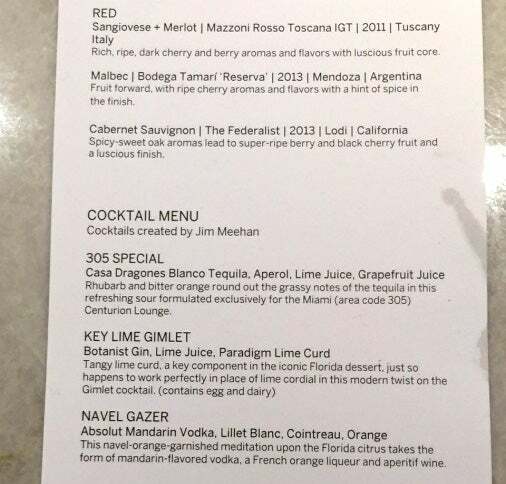 Mixologist Jim Meehan created some awesome, locally inspired cocktails, such as the 305 Special (a take on Miami’s 305 area code) featuring Casa Dragones Blanco Tequila, Aperol, lime juice and grapefruit juice and my personal favorite, the Key Lime Gimlet (Southern Florida loves its Key Lime Pie). The wine list is legit, with some great white, red and sparkling options — and rumor has it more will soon be added. 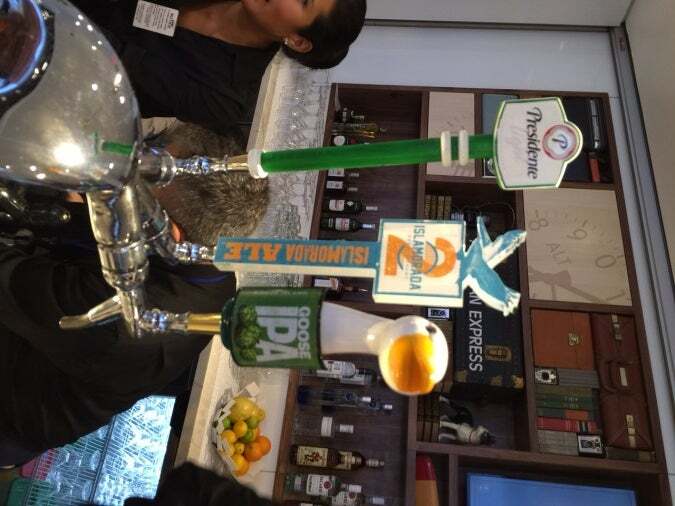 Beer gets a shout-out here, too. You can quaff Presidente, Isla Morada and Goose IPA on tap, and Bud Light and Stella Artois are available in bottles, as well. A couple things to note: The lounge is a little smaller than I expected, so hopefully it won’t be too crowded during peak travel times. It’s also located far from some of the D gates; for example, if you have a flight out of D60, it’s going to take a few minutes to get there from the lounge location at D12. Right now, you can find Centurion lounges in Las Vegas (LAS), New York (LGA), Dallas-Fort Worth (DFW) and San Francisco (SFO). For more on each of these lounges, check out this post. 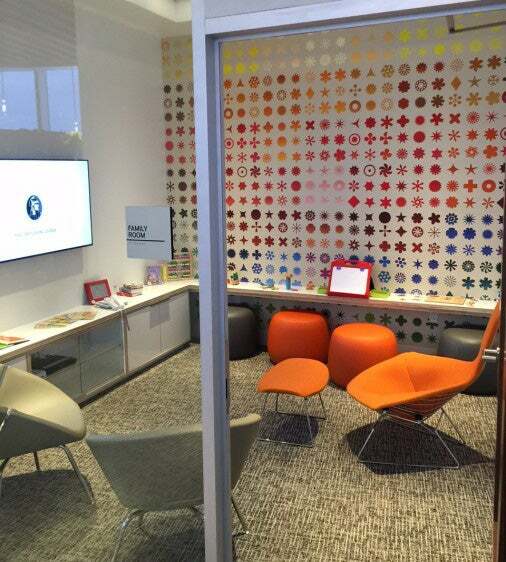 This summer, a “Centurion Studio,” which is a smaller Centurion extension, will be opening at Seattle (SEA) airport — so stay tuned for more on this mini-lounge.